What is a health information manager? The job title may be unfamiliar, but the position is vital to the efficient delivery of quality health care. As the medical establishment grows increasingly reliant on electronic medical records, you and your doctors depend on health information managers to ensure that your medical records are promptly available to those who need to see them, but safely hidden from the prying eyes of identity thieves and others who would misuse the information. Health information managers are responsible for obtaining, analyzing and securing the digital and traditional health records of patients. In order to do so, they use a thorough understanding of modern information technology, clinical knowledge, and administrative management skills. Their responsibilities may include designing, implementing and maintaining computerized health information systems, educating coworkers about the procedures and technology used for medical records, and supervision of other employees. They may also assist in setting budgets and creating health information policy. Health information managers work throughout the health care system in places like hospitals, private practices, clinics and nursing homes. They can also be found in state health departments, federal agencies, and other government organizations. Some are even employed outside the health care system in technology companies, law firms, and research organizations that develop health care products or work to shape health care policy. What Qualities Does a Health Information Manager Need? Do you enjoy working with computers? Are you interested in health care, science, management, and law? Would you like a challenging career in health care that offers a variety of opportunities, allows you to work with other health care professionals, requires only limited interactions with patients, and presents opportunities for life-long learning? 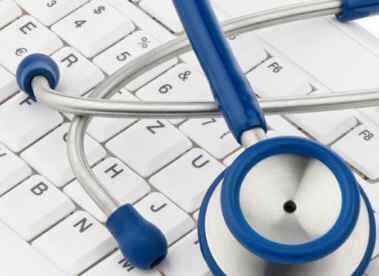 If so, then a career as a health information manager might be just what you are looking for. What Education is Required to Become a Health Information Manager? Working in the health information fields requires a multidisciplinary understanding of medicine, information technology, management, law, and finance, explains the American Health Information Management Association, the premier association for health information professionals. In order to qualify for positions in the health information field, students need to earn either an associate degree or a bachelor's degree from a program approved by the Commission on Accreditation for Health Informatics and Information Management Education. Because this evolving field is growing rapidly, many colleges and universities have added health information degree programs to their catalogs. What are the Job Prospects for Health Information Managers? With skills that are valued by virtually all health care organizations and many private businesses, health information managers are in demand. As the aging American population creates a growing demand for health care services, the need for trained professionals capable of securely managing health care information systems is steadily increasing. According to AHIMA, health information graduates with associates degrees can expect to earn $20,000 to $30,000 annually. Those with bachelor's degrees will likely start with annual salaries ranging between $30,000 and $50,000. The National Institute of Health calls health information managers "the business managers and custodians" of health care information. While their responsibilities for securely managing healthcare data may keep them behind the scenes, they are a critical component of the health care system. What a health information manager does helps doctors to provide patients with the best care possible.